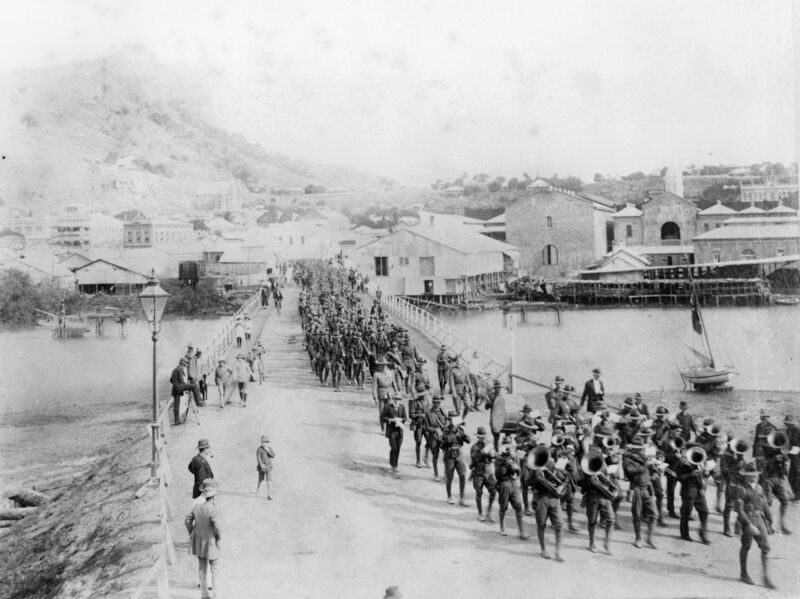 The ANZAC Centenary has provided a stimulus to reflect on impact of war on communities. The emotional distance created by the passage of 100 years since the outbreak of the First World War has resulted in an interesting dynamic for the exploration of the past. Generationally, it has distanced many from the raw and deeply upsetting immediate personal impacts of the war. In turn, it also appears to have created an environment where the highly political, patriotic and emotionally charged rhetoric of yesterday has decayed, allowing the reconsideration of our current perspectives on the past. This setting has been conducive to the acknowledgement of previously untold or marginalized aspects of our war history. 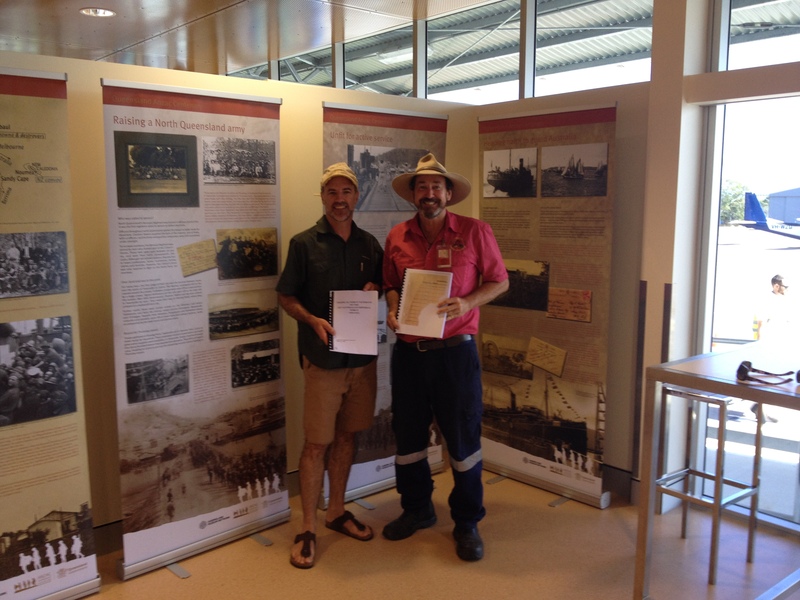 The remembrance of Aboriginal Soldiers is one such “forgotten” story and the focus of the new exhibition “Black Diggers”. 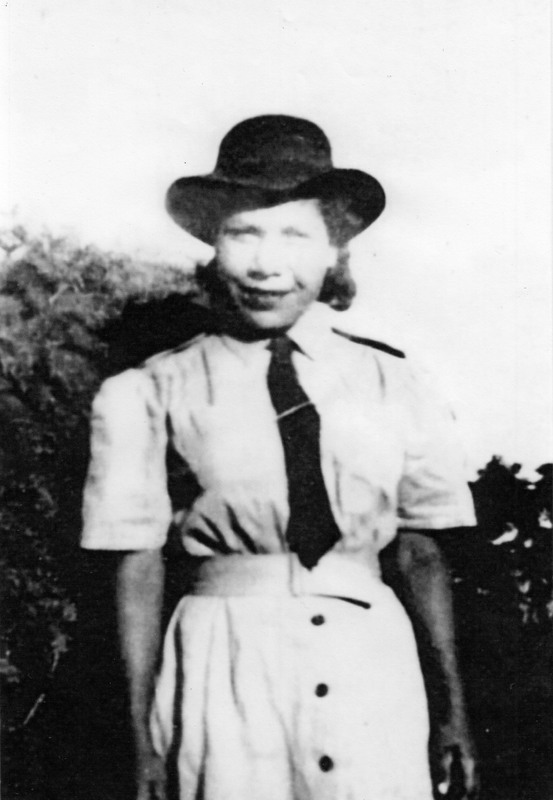 Produced by the Museum Development Office of South East Queensland for the Scenic Rim Council, it focuses on Aboriginal service people connected with the Scenic Rim region throughout a range of conflicts. 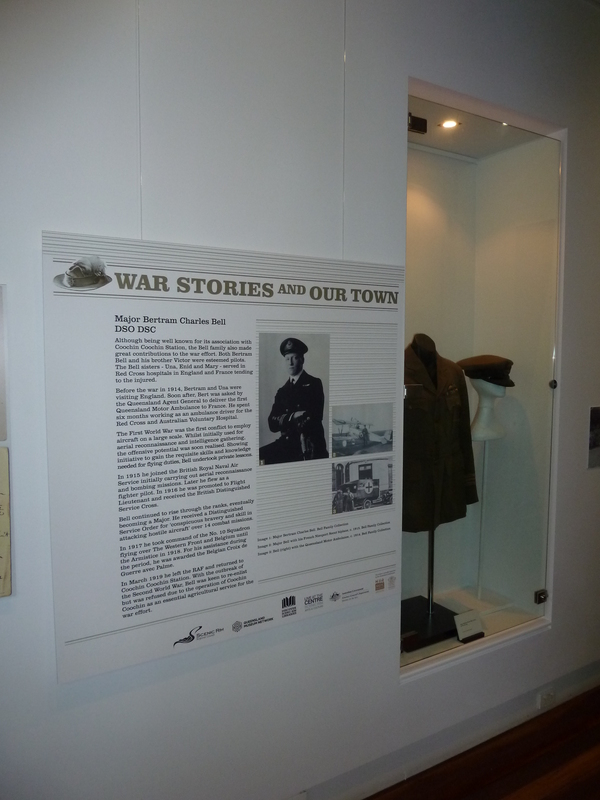 The exhibition takes the form of a compilation of stories and images shared by community members about serving family members and their own experiences at home during the war years. 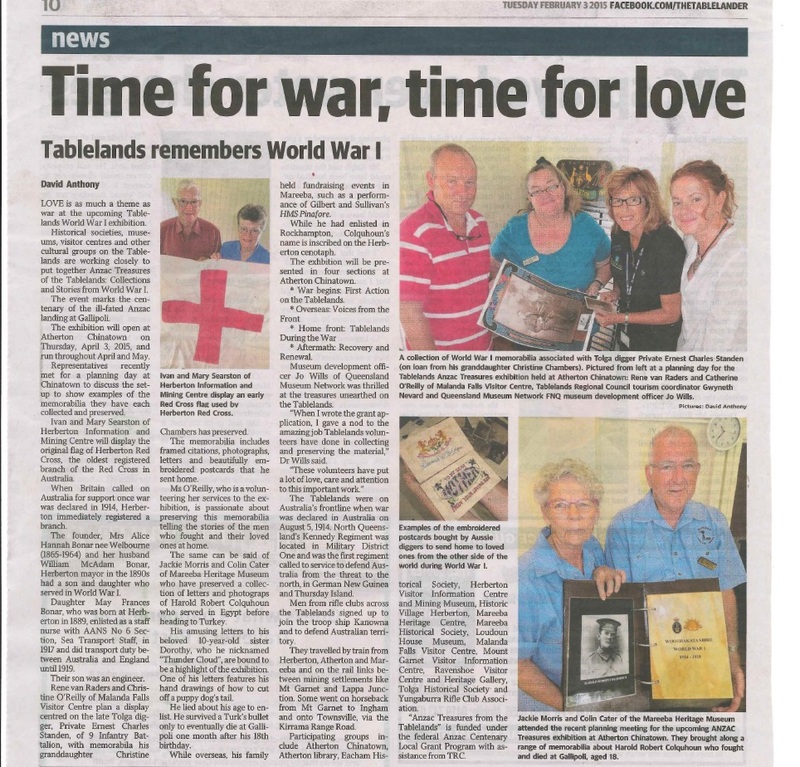 The decision by community members to share their stories with the broader community in remembrance of their soldiers has been a moving and humbling experience, and one that will be greatly appreciated by all. The historical component of the exhibition shares the gallery space with a range of artworks inspired by the topic created by the Munanjali Artist group and Kim Williams. As a whole, the evocative and powerful nature of these first person recollections, images and artworks certainly makes for interesting viewing. 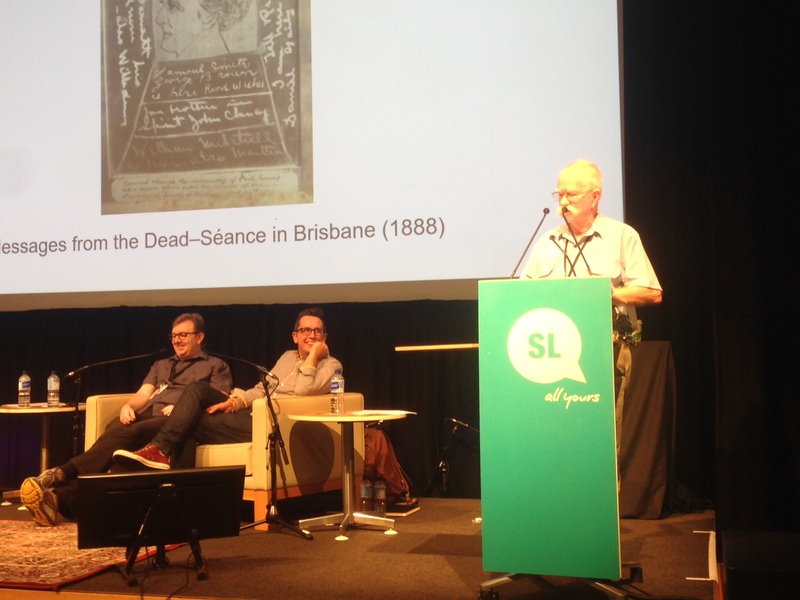 However it is hoped that the exhibition provides a conceptual space or starting point for future remembrance, storytelling and sharing within its communities that endures beyond July. 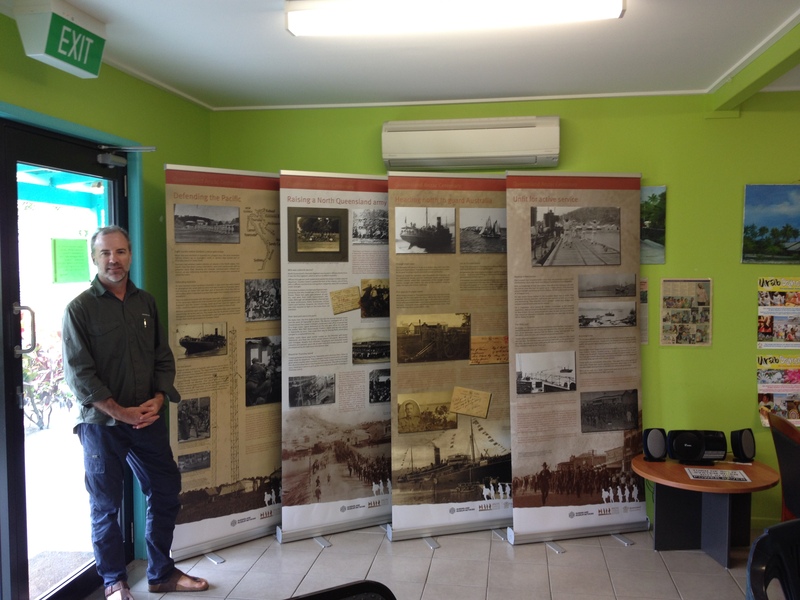 “Black Diggers” will be on display at The Centre, Beaudesert from the 5th of June to the 15th of July 2015.
is the exhibition ANZAC: a day in the life of…The exhibition is a collaborative work by the Museum Development Office of South East Queensland, in partnership with the Scenic Rim Regional Council and Museums of the Scenic Rim Heritage Network. 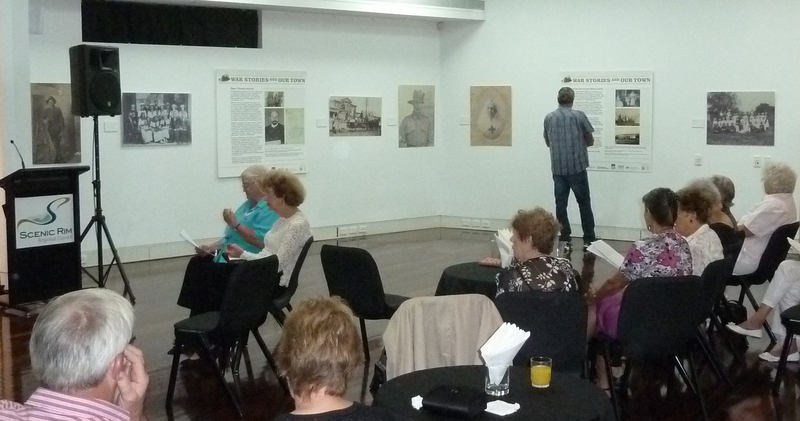 It is also part of a year-long program of exhibitions and activities focused on the War years in the Scenic Rim. residents of German heritage, and those injured or incapacitated by their experiences at war. 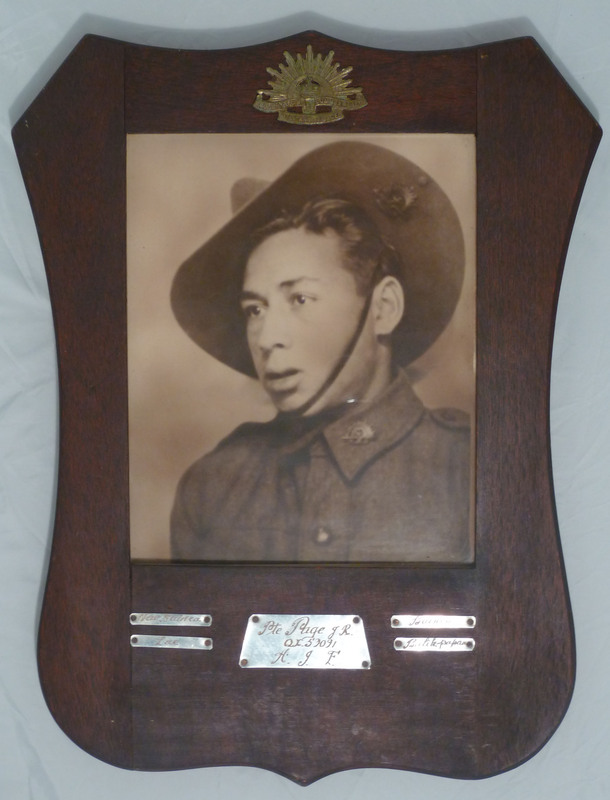 Seybold’s Identification photograph from the Holdsworthy Internment camp, c. 1916. 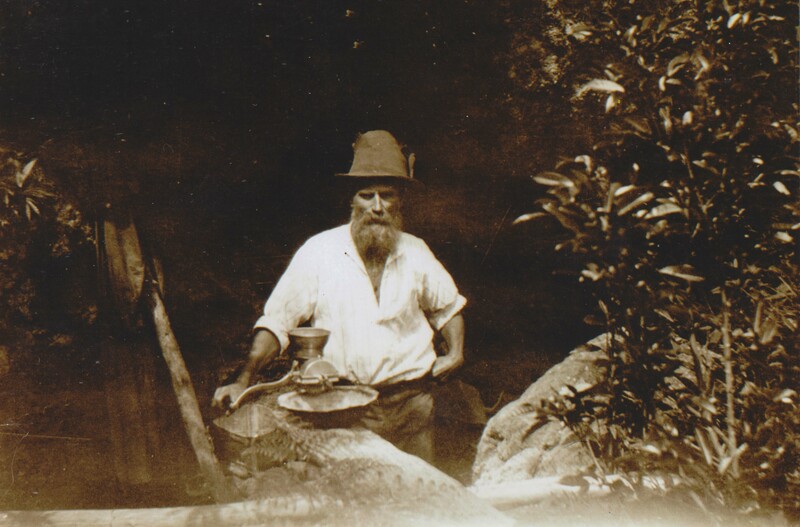 The Scenic Rim region has had a large population of German and Prussian settlers, with quite a number of Lutheran followers. With a rise in anti-German sentiment after the outbreak of war, there were a number of incidents involving those of German descent. 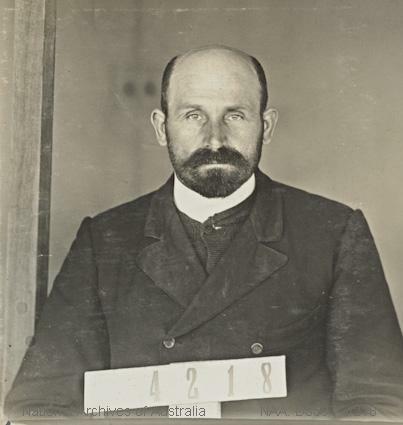 One such story was that of the arrest of Dugandan Pastor Christian Seybold who was later interned at the Holdsworthy internment camp in NSW and deported back to Germany. Seybold was accused of preaching pro-German sympathies to his congregation, allegedly encouraging them to pray for the success of the German army and decorating his church in black after the success of an allied battle. It is unclear if these claims were ever substantiated officially, or were the effects of overzealous patriotism tinged with xenophobia. Charles Chesworth Burgesses’ cave home and corn grinder. Unknown date. Another fascinating character affected by the war was returned soldier Private Charles Chesworth Burgess. 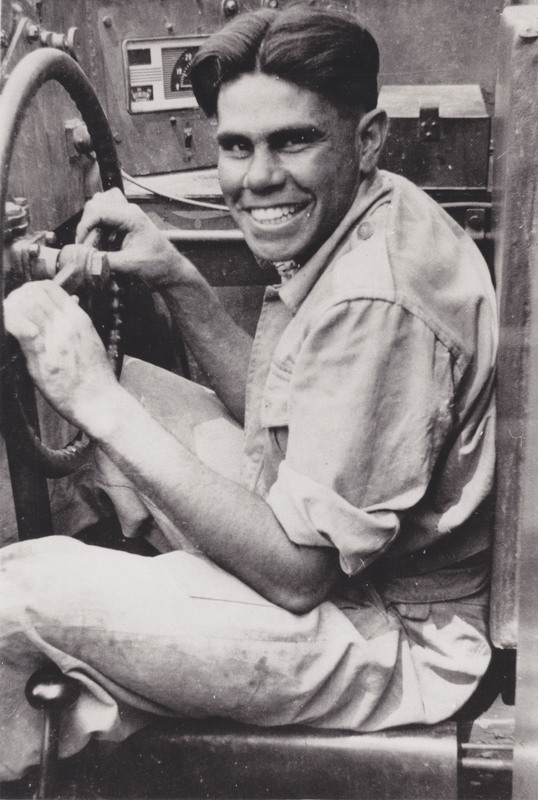 Suffering from shellshock and other undefined physiological trauma caused by a severe gunshot wound to the head, Burgess returned home only to be denied assistance in resettling and treatment. He took up residence in a series of caves on his property, living a simple subsistence lifestyle and growing his own vegetarian food. He prescribed to principles of nonviolence as promoted by The House of David, an American religious movement, and grew his hair and beard long. His experiences at war and on return undoubtedly distanced him from his home community. At the opening last Friday a fantastic evening of entertainment was held, with two-up games (for matchstick stakes, of course!) and good old fashioned sing song of period tunes, reminiscent of the patriotic balls of the day. 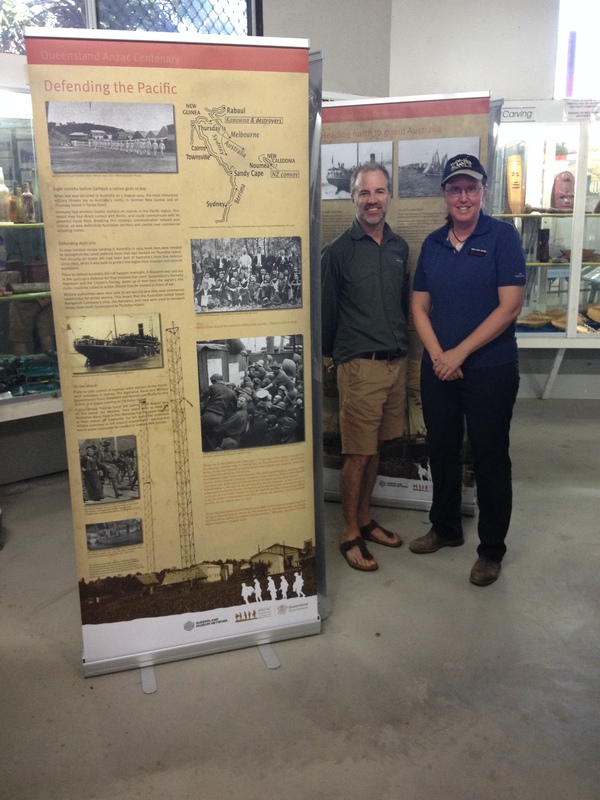 Anzac: A day in the life of… will be on display at The Centre, Beaudesert, until the 27th of May 2015. 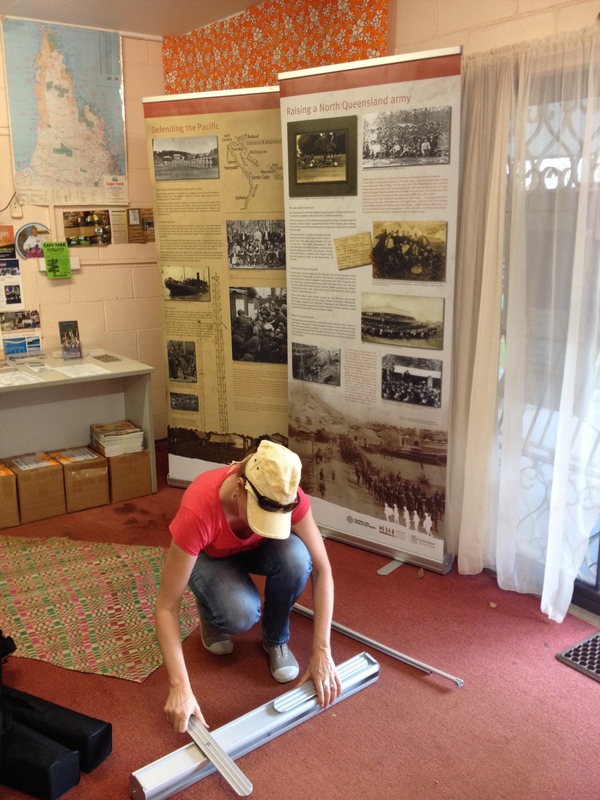 An abbreviated satellite version will also be on display at the Boonah Cultural Centre.